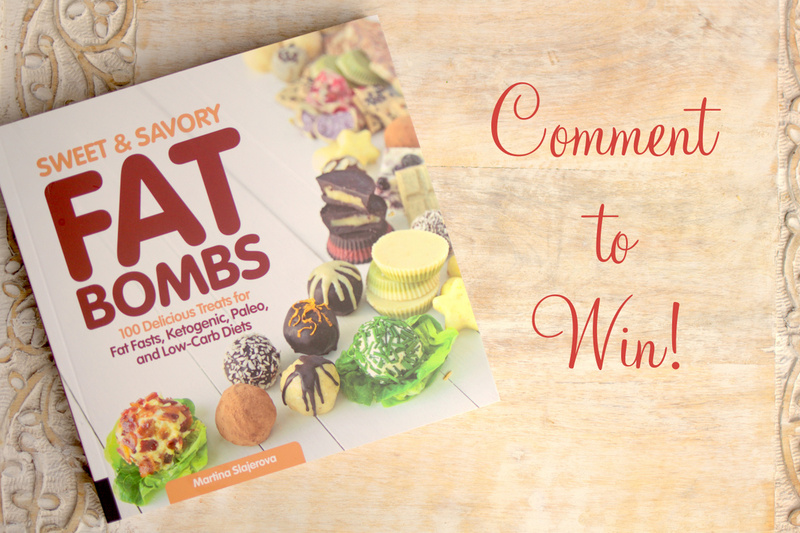 Sweet Savory Fat Bombs Cookbook. You know adore cookbooks! And here is another tasty ketogenic cookbook to add to your collection! 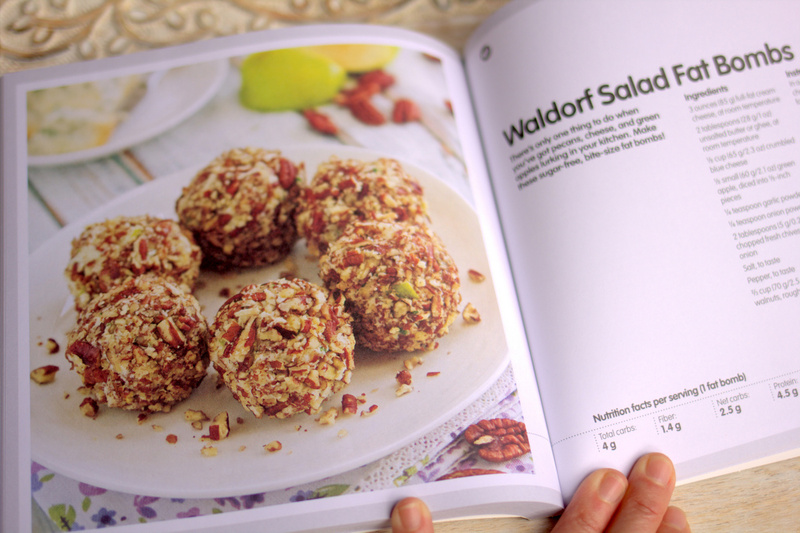 The Sweet and Savory Fat Bombs Cookbook by Martina Slajerova. Her fat bombs are not only super cute, she is also very creative in the ideas for fat bombs! 3. Comment below on what your favorite Keto fat-bomb recipe is! Winner will be chose June 8th! Good Luck! AND THE WINNER IS… John Sirilla! Congrats! I have been eye-balling this cookbook but haven’t purchased it yet! Bacon and guacamole fat bomb is awesome! I’m not on Facebook but wanted to still comment! 🙂 God bless! I LOVE a good cookbook! Especially when that cookbook helps me stay on track with my healthy eating! I love a good peanut butter & chocolate fat bomb! I love her first cookbook. I’m sure this one is amazing! My favorite fat bomb recipe is your Peppermint Patty Fat Bomb recipe. I want this book. I would love to have more options of fat bombs. That is a hard choice… it is a toss up between the bacon/avocado or the strawberry cheesecake. Can’t wait to see the recipes in the new book. Don’t have the book so I can’t really say which my favorite recipe would be. But I’d love a copy and try them all!!! Fast bombs save the day! My fav is a chocolate coconut one that tastes like a mounds bar! But then my other fav is an avocado bacon bomb! So yummy and satiating! I’ve never had a fat bomb so can’t list a favorite. Something with chocolate and mint would be a top choice. Would love to win the cookbook so I could learn how to add more good fats to my diet. Anything, and I mean anything, with bacon in it! Seriously – it’s just so damn delicious. Love to try these recipes. I would love to have the book! I bought it and can’t wait to try the recipes especially the smoothies when I get some coconut milk. 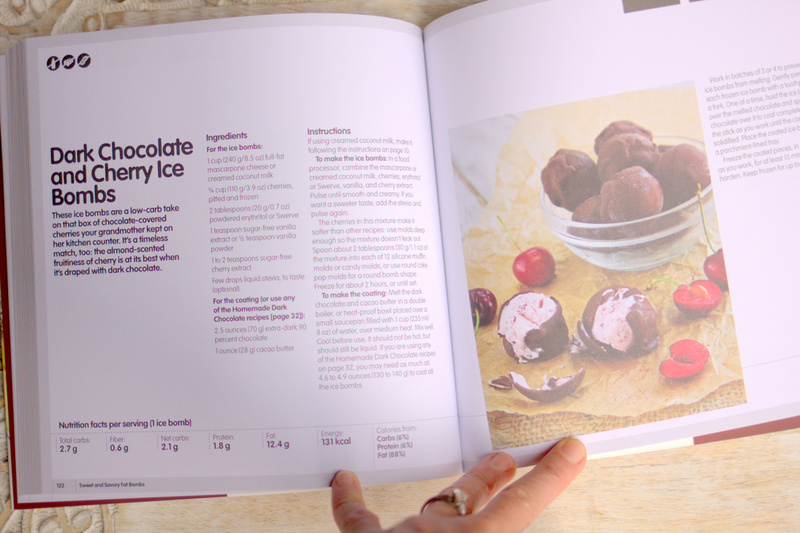 This cookbook looks ridiculously good, the first ones I would try would be something with chocolate. Probably a fudge or brownie texture. Thanks for the opportunity to possibly win a copy. Have been on keto diet for 2 months and always have trouble getting my fat in. I would love to learn and be able to make fat bombs. I know about them, I just have never made one before. I love to cook and would enjoy this book very much, I love her recipes from her blog. Thanks for the giveaway! Got my copy. It is really that good. Would love to get another copy for my daughter who loves to make truffles. It would be wonderful to win a copy of Martina’s new book! I have her iPad app and the fat bombs recipes are fabulous. Since I don’t “do” Facebook I’m leaving a comment here. I can’t wait to add this cookbook to my collection. Thank you, Maria for a chance to win this gorgeous cookbook. I am a fan of Martina’s as well! I would love more recipes for fat bombs, and my favorites are avocado and bacon and chocolate. More fat bomb ideas would be great. I would love to have this cook book? Martina’s Maple & Pecan Fudge looks amazing. Fat bombs are the help I need to increase my daily fat intake. 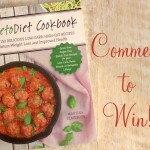 I would love to win this cookbook ! I love any fat bomb that is sweet and crispy! Avocado/bacon is to die for! This cookbook delves into recipes that are unique and wonderfully different from the usual everyday hum-drum LC recipes!! The Maple Pecan Brownie recipe was all I needed to get my attention. 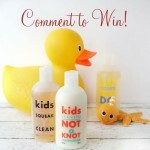 Would totally LOVE to win!! I forget what you called them but it was basically frozen whipped cream and I’ve made those little tastes too many times to count! The maple and pecan fudge. I am a big fan of the traditional Keto Fudge. I make it every week! This book looks amazing. I had never thought of savory fat bombs before. I sure go for the sweet ones though! My favorite fat bomb is a chocolate, coconut one that tastes like an Almond Joy! I am so glad there are fat bombs. When my hubby goes for a sugar peanut butter cup, I go for a fat bomb. Savory or sweet – just right made in my little silicone molds. I love them. I would LOVE this book! I just bought your quick and easy cookbook and I LOVE it! You are such a blessing to so many! Thank you for all you do! Looking forward to her new Fat bomb cookbook. I use the app frequently. I want to try fat bombs to see if they can counteract my insatiable carb cravings. I’m new to Ketogenic and still learning. I’d love some fat bomb recipes to get me started and keep me on track. I think my favourites will be the savoury ones, especially those containing bacon! Apple pie fat bombs with apples and cinnamon. Oh wow, that book looks wonderful! I love that there are photos in it. I haven’t made a lot of fat bombs, but a favorite was the Brie and Pecan baked with Procisutto cups. I’ve only tried the peanut butter and chocolate ones. I would love to win this cookbook and try more varieties of them. Maybe I could even get my children and grandchildren to eat them! Thanks for all you both do, I really appreciate it! You got me at anchovy fat bomb!! I love sweet fat bombs! Peanut butter and chocolate ones are my current favourite. I’m so new to Keto that I have not even made a fat bomb yet. That’s why I need this! I just downloaded the KetoDiet app this week while I had down time at work. I love nearly all of the fat bombs I’ve tried so far. I’m buying this book regardless but I’d love to win so that I could share a copy with my local library. I haven’t made fat bombs yet but of the recipes I have collected to try later those like chocolate or salted caramel fudge look the best to me. I like a fat bomb made with peanut butter and coconut oil and a little sea salt sprinkled on the top. Yummy but always looking for new ones. Recipes and pictures look so yummy . I would love to have more day bomb recipes. Especially savory ones! Thus would be a great book to help me with my new ketogenic diet. A tuna fat bomb sounds very intriguing! Are most of these dips or made with frozen coconut oil? I make a chocolate fat bomb. I use a ice cube tray. Just pop one out when in need. So far I have made a chocolate nut butter fat bomb, a savory cream cheese and bacon one, and a sweet cream cheese berry fat bomb. I think something citrusy sounds like it would be delicious! I’ve only made, and eaten, one type of fat bomb thus far. The recipes in this book, if I win a copy, will be useful in making more types of fat bombs and determining my favorite. Peppermint Patty Fat Bomb. Delish! I am new to the keto way of eating. I would love this book!! So glad to see all the different cook books coming out for Keto – still working around in my head about Fat and Obesity, but hey, I’m 50 and nothing really has worked so far, so why not try? New to Keto- loving it so far.. Chocolate & peanut butter fat bomb! My favorite fat bomb is combining butter, cream cheese, swerve, and strawberry extract! Maple and pecan fudge! Yummy! I would love to have this book. I need new ideas and recipes to continue my weight loss journey and this book looks awesome. I’ve been considering getting this book. My favorite fat bomb right now are the peanut butter cups. Yum! I love the dairy free peanut butter, coconut oil, and erythritol combination. So hard to screw up ratios of ingredients, you always get a great texture. Just starting this WOE and need ideas to up my fat intake. would LOVE this cookbook. No fav recipe yet,?rotally new to keto!!!! I’m new to Keto and didn’t yet tried any fat bombs. But they look delicious! I’ve only ever made peanut butter/cream cheese/chocolate fat bombs, but the anchovy one has piqued my interest! My favorite fat bomb is your fudge recipe. My favorite fat bomb is either your keto fudge or Martina’s Maple & Pecan Fat bomb. I would love to win this, fat bombs save me! Love, love, love peanut butter fat Bombs! I could use a new book to give better recipes for fat bombs….my current, simple one is chocolate and peanut butter. Thanks! My favorite fat bomb is a creme brule fat bomb! I haven’t made keto fat bombs yet. Need a good cookbook! A treat both ways, delicious delectable treats to fill ones body, mind, and soul with goodness. The treat of picking the brain of one who truly understands Keto! This book looks amazing! Love all the different types of fat bombs. I would love to add this book to my collection of Maria’s terrific cookbooks. My favorite “fat bomb”: Keto fudge! I love the strawberry cheesecake and the Peanut butter and chocolate fat bombs. I haven’t tried too many fat bombs, but the chocolate fat bomb with walnuts has been a favorite! I just received your Quick & Easy Ketogenic Cooking. It is awesome but I always need extra options for getting more fat in. I love mint chocolate fat bombs with mint/shredded coconut/coconut oil/grassfed butter base and swerve/whipping cream 100% chocolate on top. Would love more ideas from an awesome source! I love peanut butter ones, but reading the comments makes me want to try others! There is a spiced cream cheese one I have saved the recipe to. I keep returning to it. It has nutmeg, ginger and cinnamon….delicious! I would love this cookbook and up my inventory of fat bombs! My favorite is fudge bars made with coconut oil and unsweetened cocoa. I love your strawberry cheesecake fat bombs!!!! I am always interested in adding variety to my low-carb lifestyle. I would be happy to win this book! There is a macadamia nut fudge fat bomb recipe that I really enjoy! I also love coconut cream fat bombs. Chocolate and sunbutter fat bombs! We are new to the keto lifestyle but very quickly our favorite piece has been the FAT BOMBS and I have been singing their praise! My son is type one Diabetic and swims competitively. These little gems have been a game changer for him during rigorous practice! I would love to have some more ideas for something he eats daily!! I really enjoy the snicker doodle frozen fat bomb!!! 😋 Yum!! A pepperoni pizza fat bomb sounds amazing! My favorite is the peppermint patty fat bomb. They are just like a York peppermint patty! Fat bombs with peanut butter are yummy. Looking for non nut options without coconut oil for my kiddos. Ohhhh! I would love to have this book! All those fat bomb recipes in one location! Maria! You are the best! I NEED this in my life! Fat bombs are the best way for me to put my sweet tooth to bed, and at the same time, get my fat percentages up! I LOVE FAT BOMBS! Savory ones would be fantastic too! This would be a Great way to increase my fat intake! The plain vanilla fat bomb with cream cheese is all I have had! That’s why I need this cookbook, to add variety to my keto life!! I haven’t had the opportunity to try any if the fat bomb’s yet. I an relatively new to the keto adapted recipes and would consider this an exciting addition to my collection of cook books to begin making keto inspired recipes. Maple pecan fudge is amazing!!! Peanut butter, coconut oil and cocoa fat bombs are my go to!!! Thank you for the opportunity to enter the giveaway! I am this close to ordering the cookbook!! I <3 fatbombs!! I love peanut butter chocolate fat bombs and chocolate mint fat bombs! Yum! Peppermint Patty is a favorite but would love to try a savory one. I love chocolate with almond butter. I prefer having a great cookbook in my hands as opposed to searching for recipes on the Internet! My favorite fat bomb is currently your keto fudge with caramel stevia added and coffee extract replacing the almond extract and 1/2 browned grass fed butter and 1/2 coconut oil. So good. Chocolate coconut or Orange Cream….. This looks like a good one. Just got back from a trip to Russia and Siberia and went off plan (not totally) more than I have in the last 4 years. Getting back on track today. Anything that contains avocado and bacon has got to be the best! The avocado bacon one sounds delicious! This book looks fabulous! I’m looking for some savory fat bomb recipes since I’ve only made sweet ones… like chocolate… my fav! Great book. My favorite is the chocolate coconut fat bomb!! I would love to win this book!! I have only tried one thus far and that is a chocolate peanut butter one!!!! So far my favorite fat bomb is the Maple Pecan from ruledme.com! Mmmmmmm these look like really good recipes! I love just about any fat bomb. One of the greatest pars about fat bombs is that they are so quick, easy and versatile. You can make them sweet, savory or a mixture of both!! Would LOVE to get this cookbook!!! I have never had a fat bomb. I am sure it would help me to get the right fats that I am struggling with. Chocolate with mint or coconut would be heavenly. Learning how to make them would be awesome. I’ve been wanting this cookbook for a while. I’m sure I’ll enjoy every recipe but, I’m certain I’ll love all with nut butters. I haven’t found a fat bomb i didn’t like, They are all wonderful and what a quick way to please your taste buds. This is a yummy book!! Fat bombs are so good and a wonderful treat!! I haven’t tries too many different fat bombs, but I would definitely like to expand my experience! I usually combine grass fed butter, coconut oil, and natural PB with some sweetener and make mini-muffin sized bombs. Very satiating! I need some recipes but have used the recipes found in the wheat belly cookbook. I love the cream cheese and raspberry ones! I pre-ordered my book last month and it just arrived 2 weeks ago, and I’m on a mission to make and serve these at all of my functions. I am a professional cook and always on the look out for something new and delicious! Bon appetit! Enjoy! Yum! Any Fat bomb is my favorite! Peppermint Patty and Chocolate Coconut are my favorite. Yum! Looks delicious. Always looking for new recipes. Chocolate almond butter, yum! Would love to have more ideas and inspiration from your cookbook! Chocolate coconut is my favorite fat bomb as Mounds candy bars had been my favorite before changing my diet. I love, love, love the ketogenic cookbook that I just received in the mail last week. I have been out shopping and baking. I am obsessed with learning and trying recipes. Thanks for sharing your knowledge. I would love to add this for I know I will be building a library of your books. This teacher is ready for summer vacation to begin, so I can spend more time learning, baking/cooking and getting my health in order. Again, thanks!! Egg and bacon or avocado and bacon. I’d love to buy this book but my husband is probably going to be laid off. This would be an awesome cookbook to have. I love strawberry fatbombs but looking for different ones. I would have to say the pepperoni pizza fat bomb!! Wow! Favourite recipe (difficult to choose), but Maple & Pecan Fudge Fat Bombs! Love anything with nuts but particularly Pecan’s with a Keto Ice-cream. Crunch with Cream = Heaven! 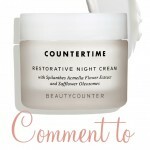 I love Martina’s blog and yours! Just got your book and now ready for the fat bomb Cookbook! Awesome job to both of you! I really like mixing coconut butter, coconut oil, shredded coconut and swerve. Sometimes we dip them in sugar free dark chocolate. Taste just like a mounds! All recipes with BACON or PEANUT BUTTER!!! Love having these kinds of recipes to curb that sweet tooth in a healthy way. I NEED MORE FAT BOMBS IN MY LIFE!!! Sweet or savory fat bombs? MIND BLOWN! Chocolate with bacon – yummmm – would love to see (and make!) new recipes – thanks!! This cookbook is on my wish list. I just saw the video on Martina’s Facebook page for Maple & Pecan Fudge and it looks amazing! That is my bomb! Can’t wait to try. I take your basic keto fudge recipe and add peppermint extract…better than a peppermint patty! I love your Butterscotch fat bombs…but i did add a bit of ground pecans, but used xylitol instead of Swerve….total YUM! My favorite fat bomb is crispy vanilla. I use it in my coffee. Delicious. 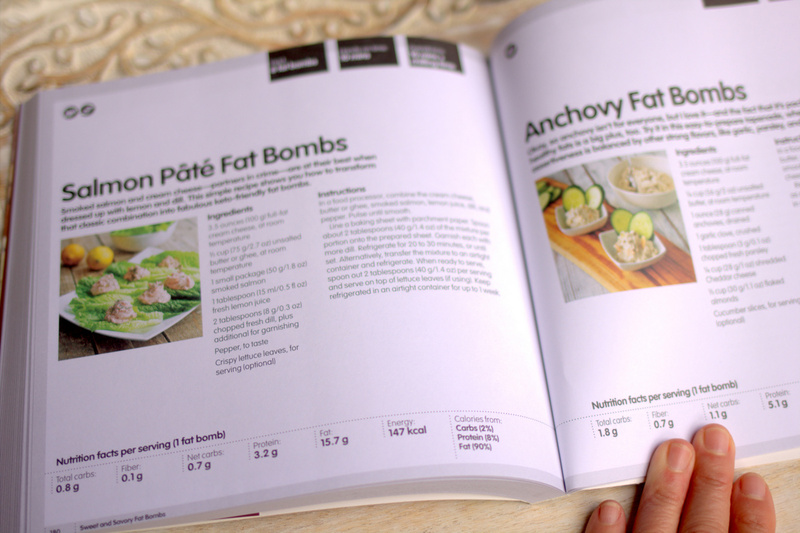 Would love to win the fat bomb cookbook. I love that the recipes are both sweet and savory…. there are times when each works well in my “hankering” craving times….. This books helps sort out the issue of how much/ratio and I would love to own it!!! THANKS MARIA! This book looks great! Healthy and delicious! Would love to own it! Your recipes have changed me so much! I don’t do many fat bombs yet. I love coconut and the key lime fat bombs for sure though! I can’t wait to try more! My favorite fat bomb is strawberries with coconut oil, cream cheese, vanilla, and sweetener. Hard to pick a favorite but the peppermint patty fat bombs are awesome!! I’m a savory and spicy kind of gal, so jalapeno cheddar bombs are my favorite to keep on hand. Tough choice, but I will say strawberry cheesecake! Would love to try the savory sometime! I haven’t yet tried fat bombs but would like to have the options available.